Are you. Underpaid Low or no benefits No voice in the workplace Tired of the empty promises from your employer We can help call Local 116 and we can start the process. 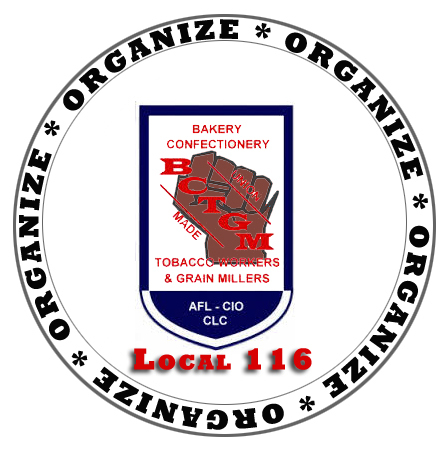 Local 116 will hold elections October- November 2019 for all local and shop positions. As we get closer proper notifications will be posted at all shops for nominations meetings and election information. Our Brothers and Sisters at a plant in Chicago are in danger. Executives at Mondelēz International, Nabisco’s parent company, are shipping 600 American union jobs to Mexico. This announcement comes on the heels of giving the company’s CEO a $6 million dollar raise. Sign the petition at this link and get on board!